IT’S famously tough to follow-up on a successful debut, and author Chris McQueer is aiming not to just be a one hit wonder. Having had such success with his debut collection Hings, released last summer, the 26-year-old is back with the difficult second book, titled HWFG. Matching the gusto of the title – yes, it stands for what you think it does – is the fact that he took the plunge and quit his job selling shoes to become a full time writer. Speaking to The Sunday Post, he admits the first few months of putting HWFG together were pretty tough. “It was hard,” says Chris. “I’d left maybe three or four weeks after Hings before I went straight into writing the new one. I found that I was trying to make the stuff I was writing too much like Hings. “I was trying too hard to be funny and I wrote seven or eight stories and that took me the best part of three or four months. Every one of them was terrible! At the start of the year, and with a June deadline looming, Chris changed his approach to writing. After speaking to another writer earlier this year, Chris realised that he had fallen into the trap of writing by numbers, following a specific formula to churn out stories. He also decided to leave behind some of the slapstick comedy elements and turned to the dark side of humour. “I found that made a big difference and helped me out,” he says. “I also felt like the darker style was out of my comfort zone. Writing HWFG was also the first time Chris was writing with a view to being published in a book as a collection. The stories for Hings were mainly just to go online for his Twitter followers to read, before the idea to put them together as a book came about. Hings is certainly a tough act to follow, selling thousands of copies and attracting celebrity fans in the likes of Limmy and Martin Compston. It also picked up the honour of being named the Saboteur Awards’ Best Story Collection. “Winning that was amazing,” Chris beams. “I found out I’d won the same day Celtic had won the treble again so that was a cracking day! Even though it has been out a matter of days, the positive feedback has already started coming in for HWFG. It was launched earlier this week at an event at Waterstones in Glasgow and pre-orders have been falling through letterboxes across the country. Grateful recipients have already delved into the sometimes surreal world of HWFG and shared their thoughts online. “I’ve been really chuffed with the feedback,” says Chris. “I was dead worried about it because – it’s not a massive change in tone – but there’s a wee change. It’s a different book from Hings. “I was a bit worried that Hings was what people wanted from me and was what they liked and what I’d be stuck writing for the rest of my career. So I’m glad that people are on board with it and are enjoying it. “I don’t want to get pigeon holed, I want each book to be a wee bit different from the last and keep pushing myself to get better, reinvent myself and try different stuff, different genres. One thing that’s remained consistent from one book to another is that Chris is writing in a voice true to his own. 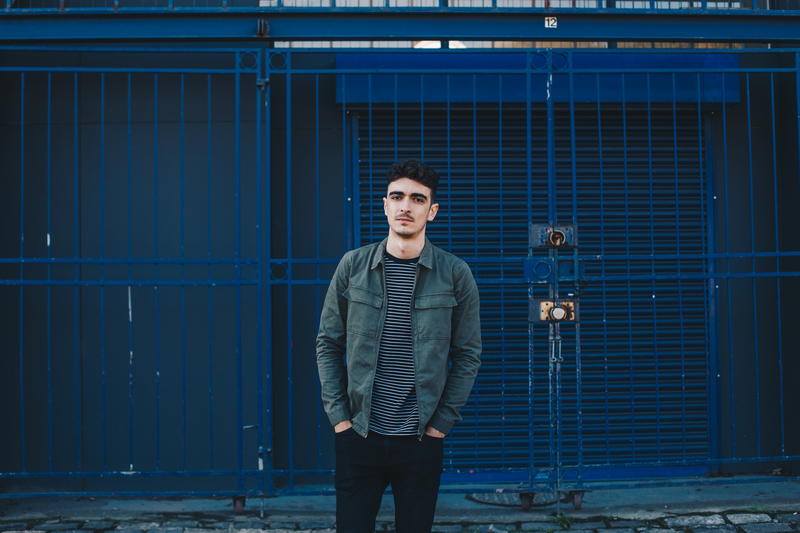 A mix of Scots, typically Glaswegian lingo and dollop of creative swearing, he reckons it’s a big part of the reason that his writing has been a success. A byproduct of his new career as a writer is the opportunity for Chris to take part in spoken word shows. 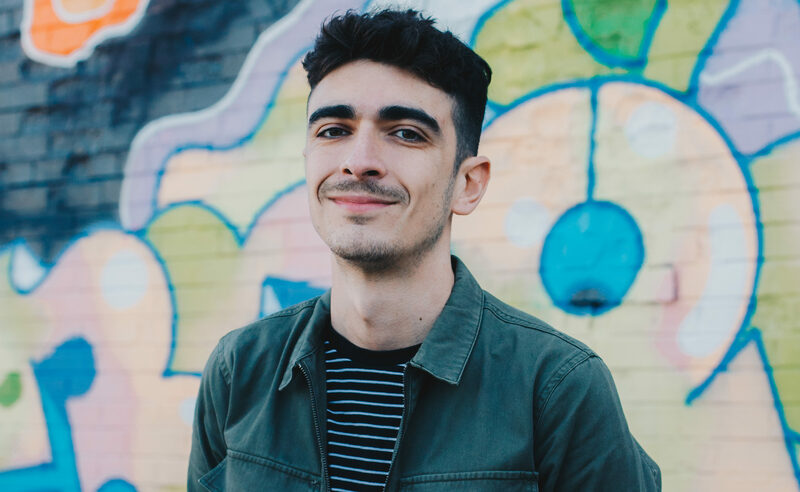 He’s been all over the country reading stories, taking part in Q&As and discussions about his creative process, as well as trying out new material in front of an audience that can give instant feedback. “It’s been great trying out the new stories, seeing how they go down,” he says. “I had been reading the same four or five stories from Hings and I was quite nervous about trying out the new ones. “When you’re reading out the old ones you know exactly when people are going to laugh and you know the bits to emphasise and how to deliver it. “I love doing the spoken word stuff. Back in May, just before I was going to hand in the manuscript I did a gig in GOMA to try out new material. 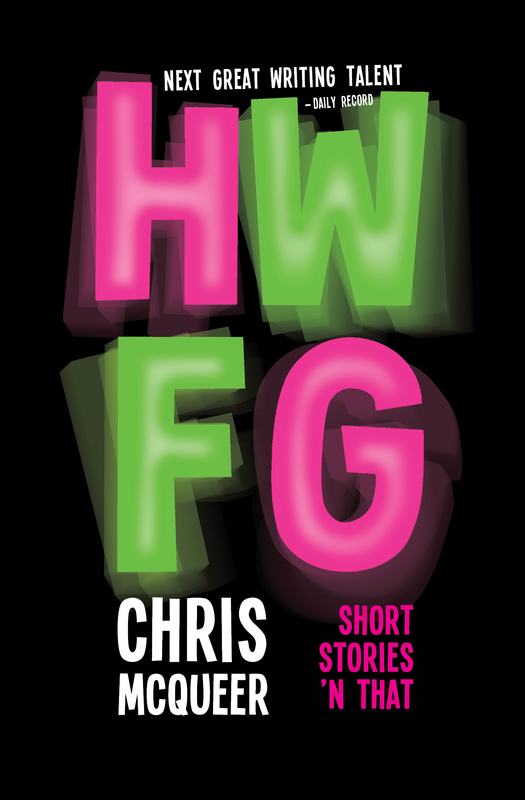 HWFG includes the first short story Chris ever published, The Moth. It tells the story of the eponymous insect, which burrows into a human named Gordon and takes over. Also close to his heart is the series of stories based on the character of Sammy. In HWFG, he takes on the role of a crime scene cleaner – a job which Chris himself has had in the past. The success of Hings meant that Chris could quit his job selling shoes and become a writer full time. It had been his dream all along, but he had reckoned it would take a few years before it became a reality. “It’s all happened so quick, I can’t believe it,” he says. “I just want to make sure I can keep doing it for as long as possible and really knuckle down. “People say not to take yourself so seriously but I feel like I need to take myself seriously as a writer if I want to keep at it and forge a career for myself. “Now that I’m doing this full time I’ve got a lot of the fear. Total motivation, if I stop writing, I stop making money. I like to eat and live so I need to write stories! Next up for Chris is another step out of his comfort zone as he aims to write a novel for his third book. “I need a wee change,” he admits. “Short stories are good fun but if I want to develop I need to push myself.